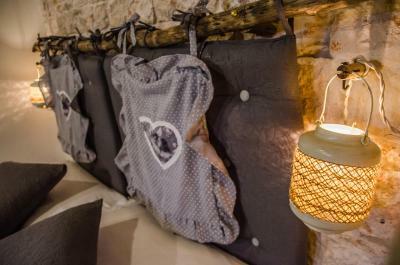 Lock in a great price for Trulli Holiday Albergo Diffuso – rated 9.3 by recent guests! Good property and kind service. Trulli is perfect. The Trullo was very comfortable and had a heated marble floor. The location was perfect and within walking distance to everything in the Trulli zone. Daniella even helped us find a free parking spot near our Trullo! The property was a very unique place. The room was beautifully decorated in typical style of these buildings. 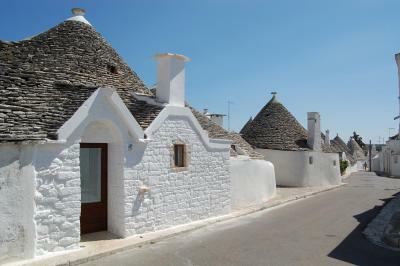 Planning a trip to Puglia, we really wanted to live in a trullo for a couple of nights. The result met expectations - this is a very unusual place. The hotel staff meets at the reception, gives the keys, escorts to the trullo (they are within walking distance from the reception), explains everything. If necessary, the hotel staff can arrange transfers and trips to the surrounding area (there is something to see), if there is no car (FSE trains are not very convenient). Good breakfasts. Great set up! Amazing to stay in a tulli house! Fab staff fab breakfast and pool service was outstanding! The place is charming! The staff is wonderful! We love Francisco. Delicious breakfast. Beautiful cool room, best sleep of holiday. Great location. 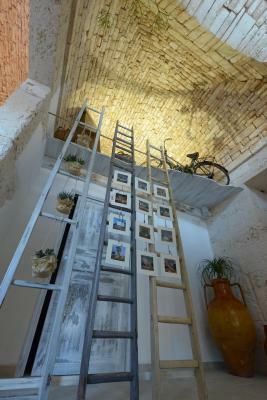 Really nice experience in an original trulli house that is really clean and well located. Also the stuff and breakfast is really nice. Everthing. 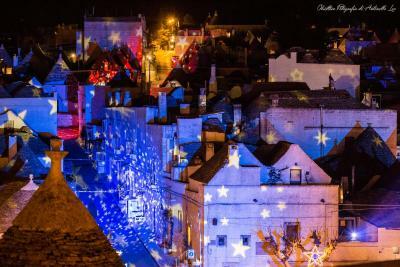 We love Alberobello. Staying in a trullo is the BEST. Everyone we met was helpful, friendly and hospitable. Breakfast included was great. Restaurants the manager recommended were superb. Very helpful staff, stayed in touch before booking and gave us tips and directions. The apartment was fantastic, well furnished and sith nice details. Our kids loved sleeping in the upper floor. Big big bathroom, comfy beds and pillows. 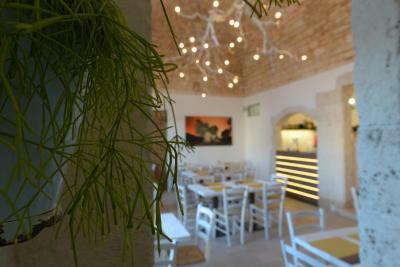 In the oldest trulli area, the place has all the charm without the crowd. Close to everything. With vaulted ceilings and a conical roof, each Trullo offers antique furnishings and a private bathroom, while the rooms have vaulted ceilings and original stone features. Some units include a living area with kitchenette. 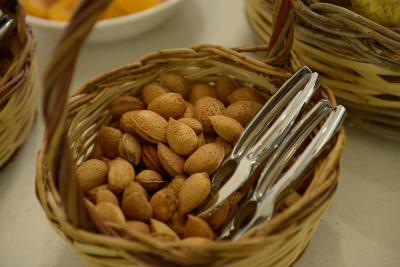 When booking a room with a breakfast option, a continental breakfast is served in the breakfast room. The buildings, protected by UNESCO World Heritage, are in various locations. 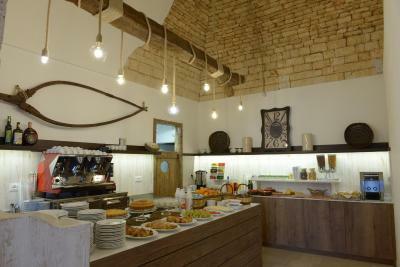 The staff at Trulli Holiday Albergo Diffuso take all guests to their accommodations on arrival. Guests can enjoy free access to a swimming pool, 0.9 mi from the property. 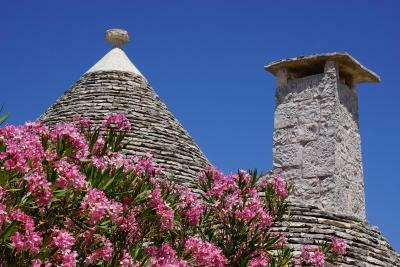 Staff can help arrange excursions around Puglia and Matera. The Fasano Zoosafari is 11 mi from the property. 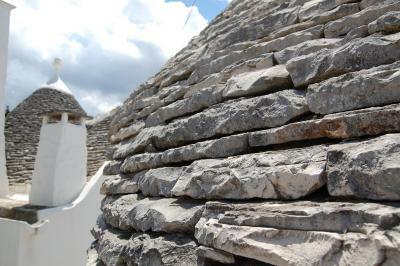 When would you like to stay at Trulli Holiday Albergo Diffuso? 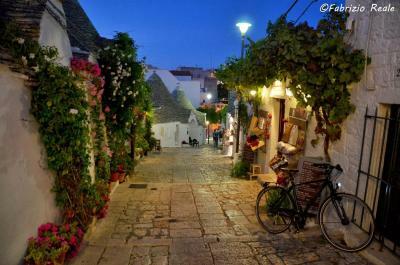 Located in Alberobello's historic center, this air-conditioned Trullo offers free WiFi, and a flat-screen TV. The private bathroom includes a hairdryer and free toiletries. 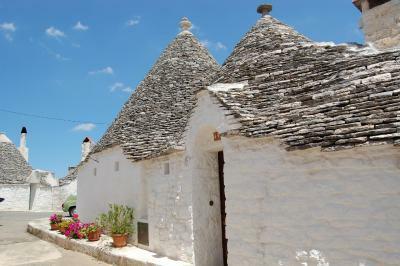 Located in Alberobello's historic center, this air-conditioned Trullo offers free WiFi and a flat-screen TV. The private bathroom includes a hairdryer and free toiletries. 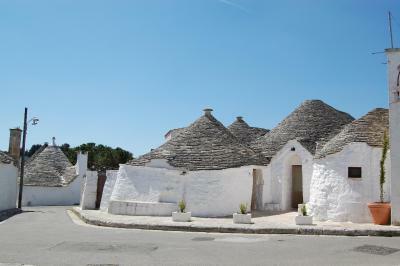 Located in Alberobello's historic center, this air-conditioned Trullo offers free WiFi and a TV. The private bathroom includes a hairdryer and free toiletries. Please note that this Trullo can accommodate 2 children under the age of 12. Located in Alberobello's historic center, this air-conditioned Trullo offers free WiFi, 2 double bedrooms, and a lounge with flat-screen TV. The private bathroom includes a hairdryer and free toiletries. Some Trulli come with a private garden. 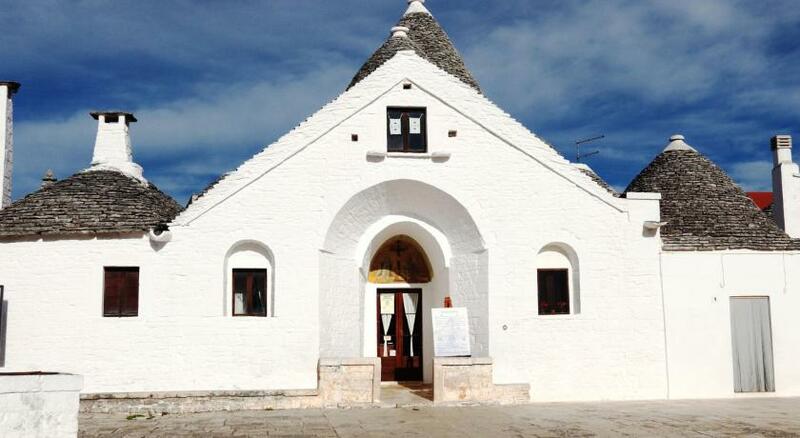 This small, air-conditioned Trullo features free WiFi, a flat-screen TV, fridge, and private bathroom. This air-conditioned Trullo has a separate bedroom and a lounge with flat-screen TV. The private bathroom includes a hairdryer and free toiletries. WiFi is free. House Rules Trulli Holiday Albergo Diffuso takes special requests – add in the next step! ATM card Trulli Holiday Albergo Diffuso accepts these cards and reserves the right to temporarily hold an amount prior to arrival. Trulli Holiday Albergo Diffuso accepts these cards and reserves the right to temporarily hold an amount prior to arrival. Guests are kindly requested to check in at the address stated on the booking confirmation. A member of staff will then lead them to their accommodations. Guests needing a baby cot are kindly asked to specify this when booking. Cots cannot be accommodated in the Single Room and Small Trullo. Please note that check-in and key collection take place at: Piazza XXVII Maggio, 38, Alberobello 70011. I’ve thought the trulli will be located in the main zone with more trullos, but it is not. It’s really close, but not in the main zone with trullos. The room is really big, clean and nice and the staff friendly and helped us with useful info. Excellent service. Excellent breakfast. Great Hospitality. The weather outside - it was very cold. 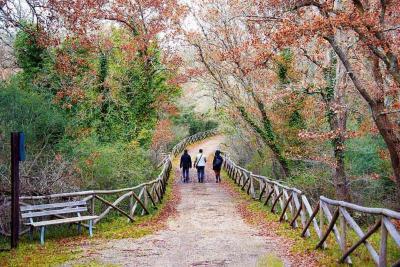 Since it is such a small town the young people don't have a lot of places to hand out which means they sometimes group in the area where our Trulli house was, and they were playing some music, and talking till very late at night. Also since it is a tourist attraction if you plan on sleeping in the tour groups start early in the morning, so you are woken up to several groups getting the history right outside your window. When we checked in the manager walked us to our house to make sure everything meet our needs. Shortly after arriving we found we couldn't connect to the internet, so the manager sent a workmen right away to correct the problem and was cleared up in less than 10 minutes. We were very impressed with the breakfast buffet that was offered it was beyond good. I absolutely loved my stay here, staying in a trulli was an amazing and unique experience and was also very spacious. 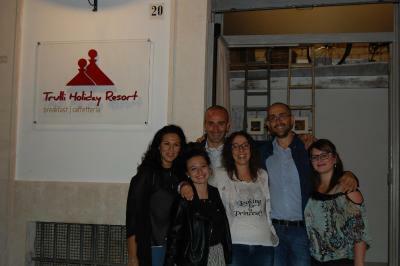 Francesco and Daniela where fantastic and offered amazing guest service and where so helpful with any questions I had and also arranged a last minute transfer to Matera. Breakfast was great, I would highly recommend staying here. Maybe a mattress and some pillows softer. A unique experience to remember. 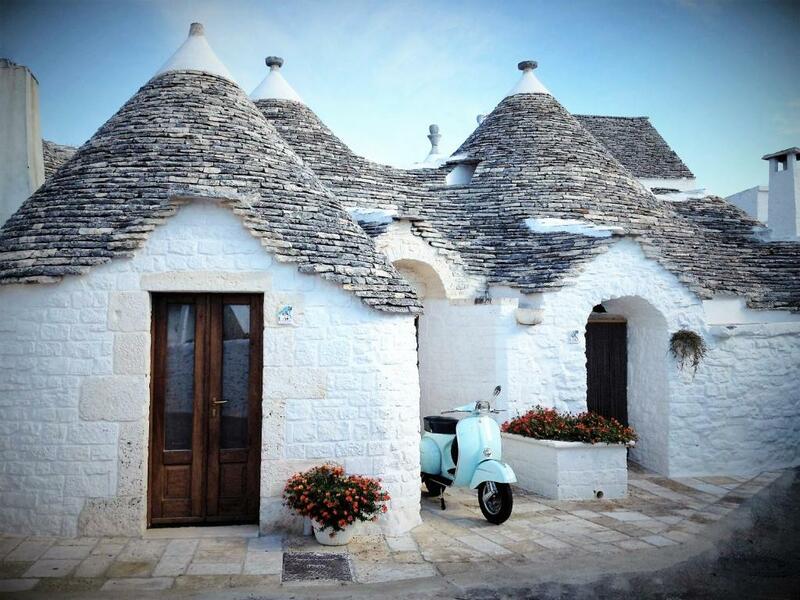 The room was a traditional trulli house in the rione Aia Piccola, in the center of Alberobello. The breakfast was very good. Temperature in bathroom too hot but not in the room. We had to wait half an hour for check in as short staff. Style and comfort of the room and bathroom. Friendly and helpful staff. Very good breakfast. Location. Everything was great. The breakfast, the room and the location- fantastic.